What if estate assets are insufficient to pay all the claims that need to be paid in full? What is the personal representative of the estate to do? Well he/she is required to pay claims in the following order: (Please note that this order is non-negotiable so read it closely). The courts in the state have consistently enforced this order of priority of claims. Only surplus funds after the payment of the claims listed above can be used to satisfy the payment of debts etc. owed to general creditors (if any). 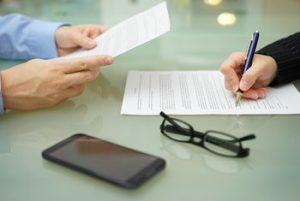 Under the revised probate code, creditors must present their claims to the estate’s representative within nine months from the date of death. If a claim is not timely filed, the personal representative is not liable to the creditor with respect to any payments, property transfers that the personal representative has previously paid out before the creditor’s late claim. This law however is often disregarded by the probate court since many creditors are unaware of the death of a debtor and are never notified about his/her death. The risk of delayed creditor claims is significantly reduced (in my opinion) if the creditor is notified and fails to present their claim in a timely manner. The personal representative must respond (in writing) to a creditor’s claim within three months, either agreeing to pay it or disputing the claim in full or in part, and give notice in writing to the creditor, his agent, or attorney, of what portion of the claim he/she agrees with or disputes. The purpose of this procedure is to expedite the settlement of estates. If a creditor’s claim is disputed, the creditor must file an action to collect the claim within three months of receiving notice that the claim is disputed, otherwise, the personal representative is not liable to the creditor with respect to any assets that he/she may have paid in satisfaction of any other bona-fide claims, before the commencement of the lawsuit. Until a claim is reduced to judgement against the estate, a court will not enforce the claim against funds in possession by the executor/executrix for the payment of the debt(s). If for some reason a creditor has dropped the ball, many probate judges will allow a creditor to prove their claim after the nine (9) month time barring creditors. But if not there are still remedies before the remaining assets of the estate have been distributed or paid over pursuant to law. The personal representative must (do this to avoid personal liability) retain sufficient assets to pay the amount of the disputed claim, together with interest and costs, until the claimant establishes his claim by judgment. The creditor may also have an action based on a refunding bond and against the beneficiary and surety who has posted a bond. A claimant against an estate can bring an action in his/her own name without leave of court on a refunding bond given by a beneficiary or heir and recover on the claim from the distributive share received by the beneficiary from which the bond was given. Recovery on a refunding bond shall in no case exceed the amount actually received by the beneficiary, his or her heirs and assign. (See the below discussion on release and refunding bond(s)).